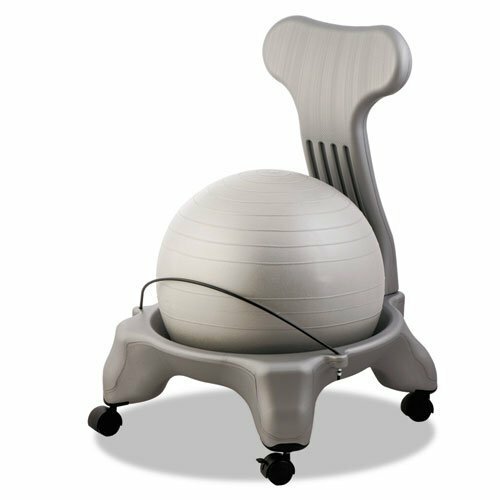 Ergonomic ball chair combines exercise ball fitness and promotes active sitting while strengthening your back. It improves posture and is a healthy alternative to traditional office chairs. Compact, lightweight and easy to transport. Diameter: 50 cm; Material(s): PVC; Color(s): Gray.